With the Full Moon in Virgo (Divine Feminine and the 'Virgin'), we are called to Self Sovereignty. The word 'virgin' originally meant "whole unto oneself". What does it mean to be sovereign unto oneself? How can we be in our full power in a healthy way? At this full moon, we are asked to explore with childlike curiosity all the ways in which we seek to blame/control others and thus give our power away. We are asked to reclaim our power by taking responsibility for our actions, thoughts and spoken words. At this time, we are summoned to the paradigm of choice, creation and accountability. Step forth, dear one, to ask for what you need, express your heart with gratitude and celebrate the truth and power of your innocence, generosity, compassion and love. Now is the time to create your human experience from a grounded place of humility, focused intention, service and beauty. This is our Moon Medicine. Reclaim Self Sovereignty: Let's get real. In your journal, write down out all the ways that you are currently blaming outside circumstances or people for your own discomfort or unhappiness. Take personal accountability by writing down all the choices, attitudes and actions (including non-action) that is keeping you from living your full potential. Write down all that you are ready to release and all that you are calling forth for your present life to move forward aligned to your heart desires and to get your own needs met. Commit to two action steps to make this real for yourself. Now then, get to it. Welcome to Self Sovereignty. Embrace The Heart: This can be a very intense part of the lunar cycle. Be patient with all the emotions you are feeling at this time. Breathe into them. Give them a safe resting place and a healthy funnel of expression. Be gentle with yourself. Then proceed to the following. Return To Pleasure: Consciously breathe self-love into areas of your body that may be tender, in pain or need more energy. Practice random acts of kindness to yourself in ways that feel nourishing to your senses of sound, sight, smell, taste and touch. Delight in this as medicine for your soul. You so deserve it. Commune: Gather in an intentional way with loved ones and do any of the above together and create your own. 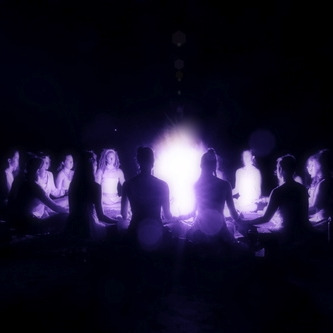 Now is a time to be with the energy of the collective. Attune with the moon and empower your life. Join us for our next free and virtual New Moon Temple. Share your heart & plant your dreams in sisterhood on March 20th. Posted on March 4, 2015 by Goddess Rising.